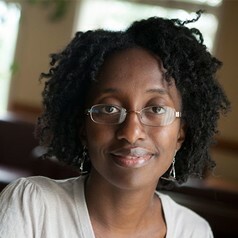 Jamila Michener is an Assistant professor in the department of Government. Her research focuses on poverty, racial inequality and public policy in the United States. Her recent book, Fragmented Democracy: Medicaid, Federalism and Unequal Politics (Cambridge University Press) examines how Medicaid--the nation’s public health insurance program for people with low income--affects democratic citizenship. Unpacking how federalism transforms Medicaid beneficiaries’ interpretations of government and structures their participation in politics, Fragmented Democracy assesses American political life from the vantage point(s) of those who are living in or near poverty, (disproportionately) Black or Latino, and reliant on a federated government for vital resources. Michener’s research has been supported by the Woodrow Wilson Foundation, the Russell Sage Foundation, the National Science Foundation, the Robert Wood Johnson Foundation and the Ford Foundation. She received her MA and PhD from the University of Chicago and her undergraduate degree from Princeton University. Prior to working at Cornell, she was a Robert Wood Johnson Health Policy Scholar at the University of Michigan.